Jay Cook is the new head basketball coach for the Cabot Lady Panthers. 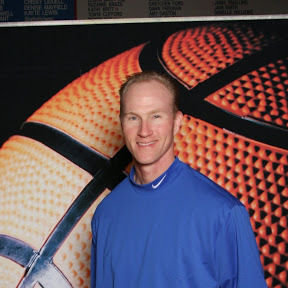 The Cabot School District recently announced the hiring of Jay Cook as the new Lady Panthers head basketball coach. Cook replaces Carla Crowder, who is retiring at the end of this school year. Cook comes to Cabot from the Paragould School District, where he has served as the girls athletic director for five years and head girls basketball coach for close to 11 years. During his time at Paragould, he also served as the head girls track coach and head boys/girls cross country coach. Prior to that, Cook was the assistant men’s basketball coach for Arkansas State University in Jonesboro. Cook has more than 20 years of coaching experience. While at Paragould, he achieved numerous accomplishments, including 196 victories, a 5A State Championship (2014) and state finals three years in a row (2014, 2013, 2012). His team also appeared in state tournaments eight out of the last nine years. Other top honors include, AHSCA Outstanding Coach of the Year Girls Basketball (2013-2014), AHSCA Outstanding Coach of the Year Girls Athletics (2013-2014), ArBCA 5A Girls Coach of the Year (2013-2014) and 5A East Outstanding Coach (2013-2014). Cook received his bachelor of science degree in education from Arkansas State University in Jonesboro in 1994. He graduated from Lakeside High School in Hot Springs in 1989. Cook is married and has four daughters.